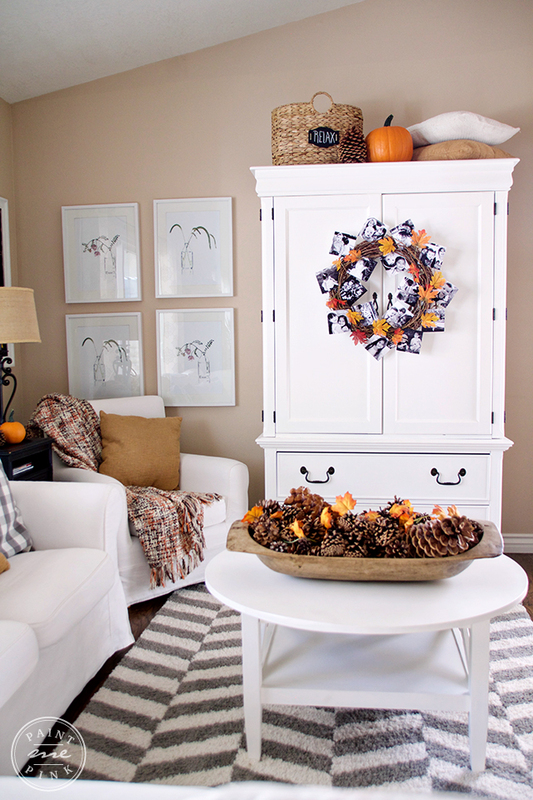 This past week I’ve been enjoying decorating for fall and brainstorming fun fall projects. As a mother of three little ones I love making simple things. 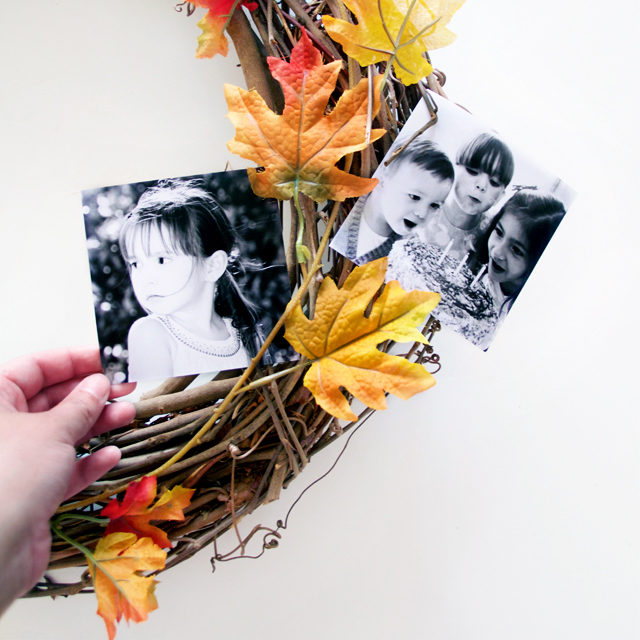 And I’m excited to share with you this simple and meaningful DIY fall wreath. 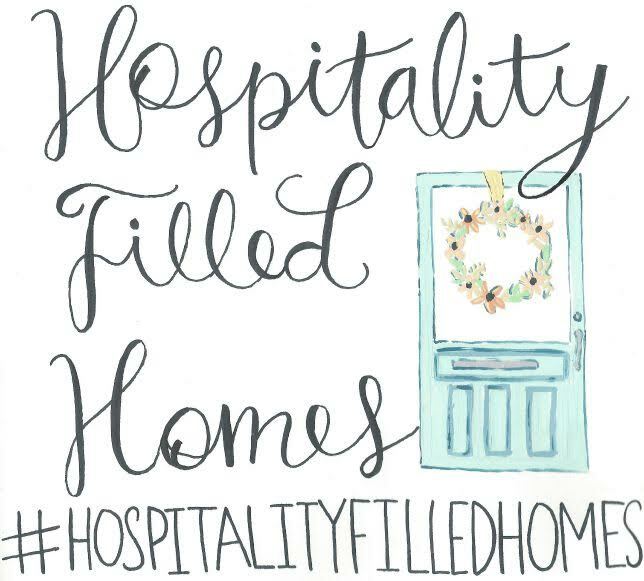 I’m also excited to be joining a group of talented bloggers on a new series called the Hospitality Filled Home hosted by the lovely Sonya from At Home With The Barkers and Melissa from Daisy Mae Belle. This fall I wanted to embrace the sweet memories we have made with our children and how those memories have become traditions in our little family. Traditions like baking cakes from scratch for their birthdays or having breakfast for dinner once a week, little things like that. 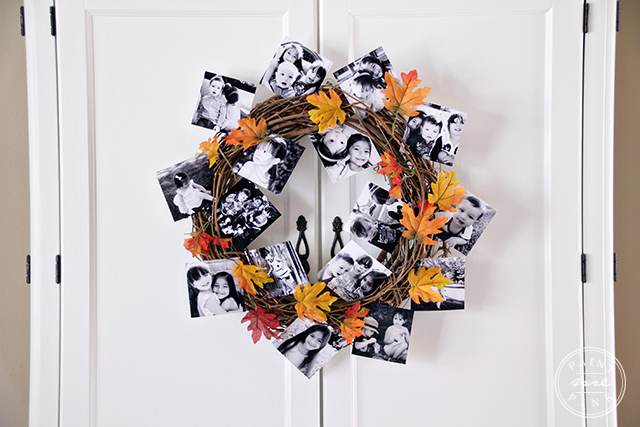 Last night as I was sharing my thoughts on making simple DIY fall wreath to my husband and out of the blue he starts sharing stories about how his mother made candy wreaths for his school teachers. It was such a lovely story and it truly meant a lot to me because it’s not often for him to share memories of his mother. I never got the chance to meet my mother-in-law, she passed away before I could ever meet her. After hearing his story I knew this wasn’t a coincidence, I happened to be making a wreath and sharing it with all you lovely readers on her birthday Sept 14th. So I knew I had to make this wreath special and to me there’s nothing more special and precious than her sweet grandchildren. A picture is worth a thousand words and I wanted to dedicate this wreath to my mother-in-law, Susie, who may not be with us anymore but she’ll forever be in our hearts. Even though Susie didn’t get a chance to meet her grand babies I know she’s smiling down and looking after them from heaven. 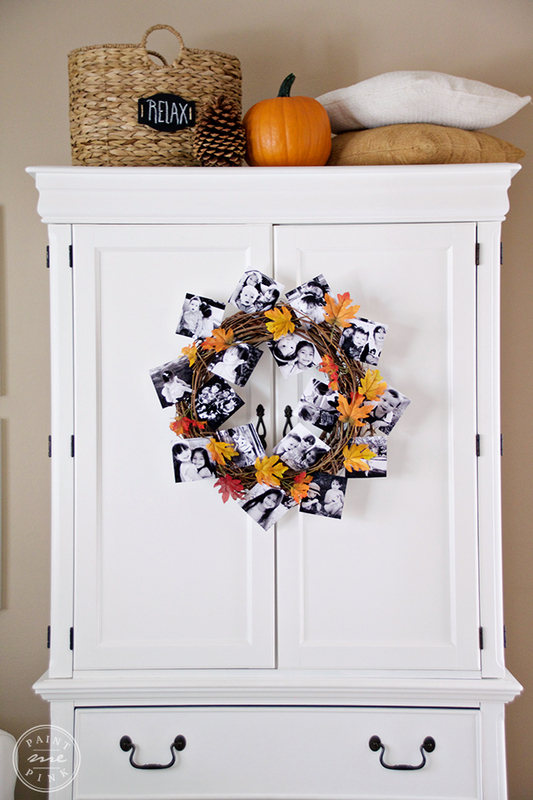 Our fall wreath is filled with pictures of our babies Juliet, Scarlet, and Luke. As I was going through their baby pictures and choosing which pictures I wanted to print out I forgot how small they were just a couple of years ago and how much they’ve grown. It made me smile and I started to reminisce on the past and honestly I felt a bit emotional knowing that Susie didn’t get a chance to make memories with her grand children. My babies are grown up right before my eyes and it’s true when they say enjoy them while they are still little, because before you know it they are all grown up. 1. 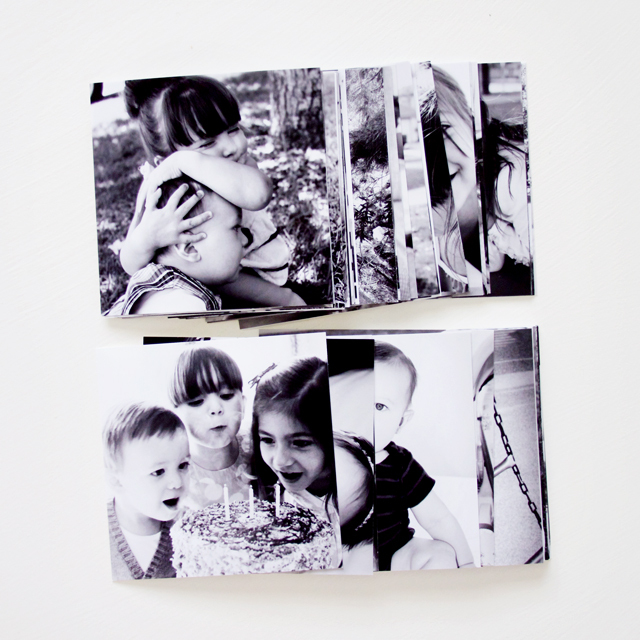 Print desire size pictures (I used 4×4 inch pictures). 2. Hot glue leaf garland around the grapevine wreath. 3. 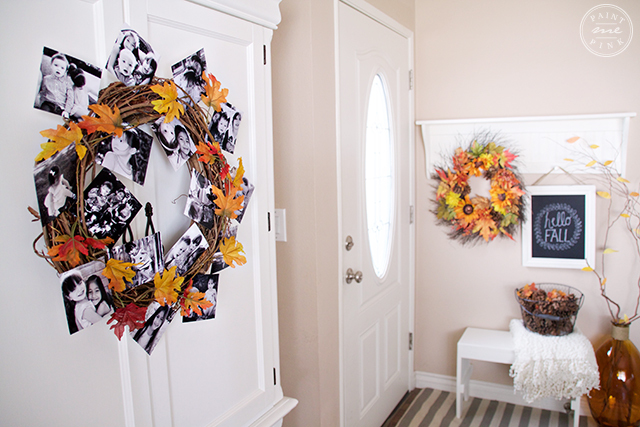 Place pictures on desired spots around wreath then hot glue them into place. 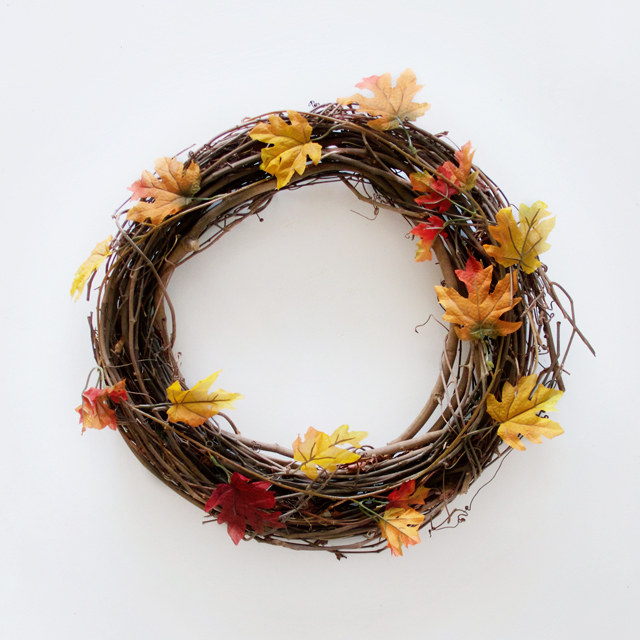 I hope this inspires you to create your own wreath this Fall! 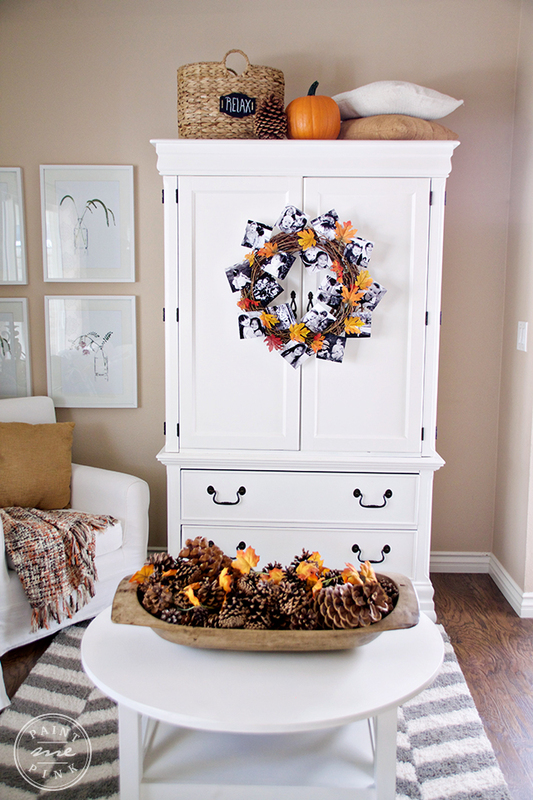 You can also join in on the fun on Instagram by using the hashtag #HospitalityFilledHomes and #HFHfall to share your Fall wreaths and centerpieces! 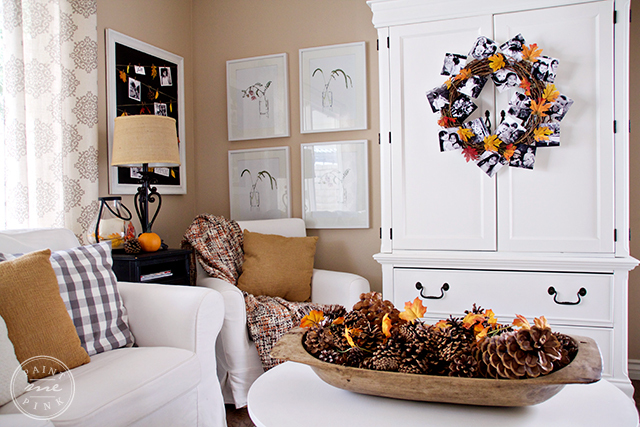 Take a little time and visit these amazing gals for more fall wreath inspirations! Thank you so much Heather! It’s been such a pleasure being part of this lovely series with all you talented gals! What a sweet wreath! Love this and I am SURE that Susie is watching over you all and smiling! 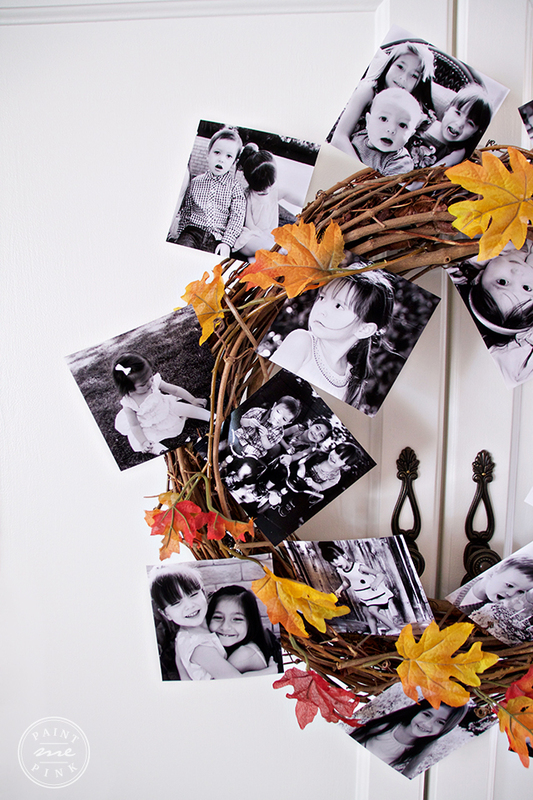 What a great idea for a wreath! I’m loving the bright colors paired with the black and white photos, too pretty. I’m just loving it Norma! Gorgeous, Norma!! 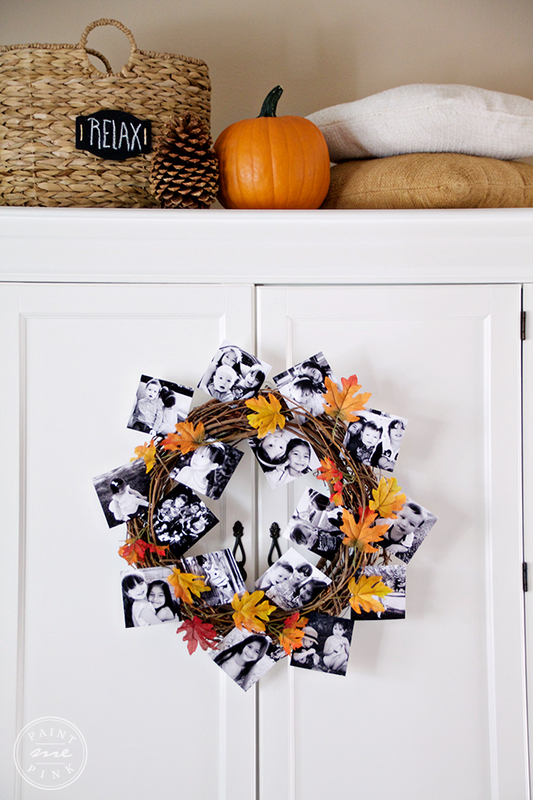 I love the idea of adding photos to the wreath. So clever! I adore this, Norma!!! 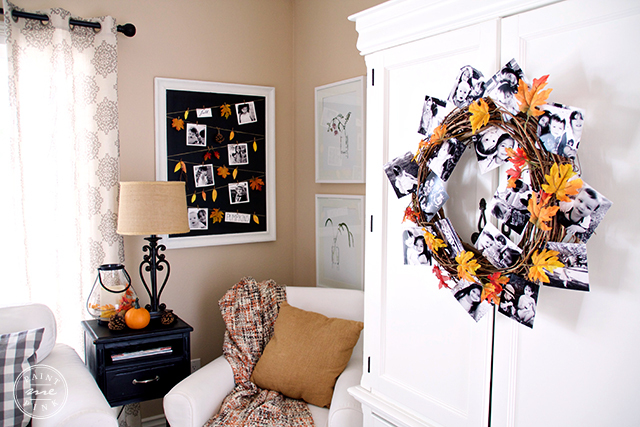 What a great way to display photos from this fall and falls past! Thank you so much for the inspiration! Love!